The Floral Gallery has been proudly serving San Diego. We are family owned and operated with locations serving the San Diego area. We are committed to offering only the finest floral arrangements and gifts, backed by service that is friendly and prompt. Because all of our customers are important, our professional staff is dedicated to making your experience a pleasant one. That is why we always go the extra mile to make your floral gift perfect. Let The Floral Gallery be your first choice for flowers. *Our shop is open from 8:30 a.m. to 5:30 p.m., Monday through Friday, and from 10:00 a.m. to 2:00 p.m. on Saturdays We are closed on Sundays. To help assure on-time delivery during the busy holiday season, place your order at least 2 day(s) prior to the following major holidays: Thanksgiving Day, Christmas Day, New Year's Day, Valentine's Day, Easter, Administrative Professionals Week, Mother's Day, Memorial Day, Father's Day, Independence Day and Labor Day. Our shop will always be closed on the following holidays: Thanksgiving Day, Christmas Day, New Year’s Day, and Easter. Our shop serves the following areas: San Diego, Del Mar, Mira Mesa, Sorrento Valley, UTC area, Scripps Ranch, Rancho Bernardo, Rancho Penasquitos, Poway, Clairemont, Miramar, La Jolla and Vicinity. If you have any questions or need more information, please call us directly at (888)950-8878 or 858-909-0808. We're always here to serve you and make your flower-sending experience a pleasure. All orders are guaranteed* to arrive fresh and beautiful every time you order. If you are not 100% satisfied with the product quality upon arrival, we will replace it at no additional charge. It is important that any care and handling information is read and followed carefully. Care information is designed to supply your recipient with the ability to enhance the enjoyment of your gift for as long as possible. Floral care information is also available on our website. All Florist Arranged Gifts are 100% satisfaction guaranteed*. Floral Gallery will deliver the floral package to the recipient on the requested day. 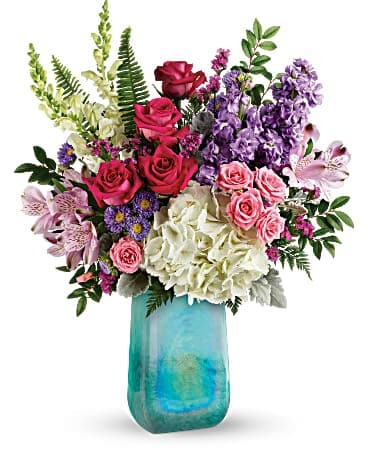 We are not responsible for: Flowers and plants delivered to incorrect addresses supplied by the sender. 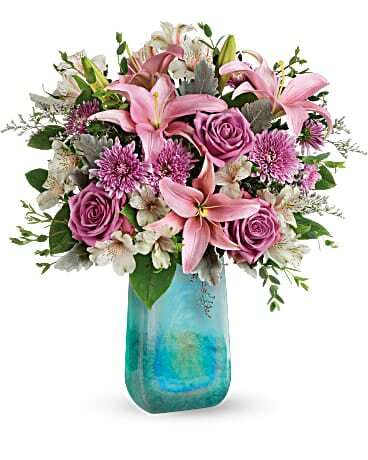 Flower and plant quality problems due to an incorrect delivery address supplied by the sender. *This guarantee applies to orders for which we have received complete and accurate delivery information. Any necessary address corrections required once the package has been delivered** will cause all guarantees to become null and void. Unsuccessful deliveries due to the recipient not being present at time of delivery at the address supplied by the customer. Flower and plant quality problems where delivery is delayed due to policies of delivery location requiring signature upon delivery. Orders may not be edited or cancelled the day prior to delivery, the day of delivery, or within the five days prior to Valentine's Day, Mother's Day, or other floral holidays due to the extremely high volume of orders during these times. *Guarantee is valid for 24 hours on fresh flowers and other products. Temperature in the environment where the fresh flowers may be placed, will effect fresh flowers life cycle. All products must be returned to our Customer Service department within 24 to 48 hours of receiving products, to determine store credit or exchange. No phone calls necessary when you bring the flowers or product in the store. After 24 hour to 48 hours, if the product is not returned, all guarantees are null and void. This policy is extremely enforced due to number of fraudulent claimed to the florist industries and we are taking participation in identifying and reducing these abused. The Floral Gallery is known for best in customer service and we will do our best to give you the satisfaction you deserve. If order is not safe to leave on the front porch when recipent is not home, Please pick up flowers from the shop. "We Deliver World Wide"